Search the Canadian Hansard from 1901 to today. The transcript of Parliamentary Debates (“Hansard”) is a 150-year running record of Canadian political history. The richness of this record presents a needle-in-a-haystack problem of enormous magnitude. At a rate of a novel’s worth of reading each day, it would take 66 years to read the transcripts of the House and the Senate. It would take a further 28 years to read what was added in the interim. In 2013, a group of political scientists, computer scientists, and historians teamed up at the University of Toronto to solve this problem. 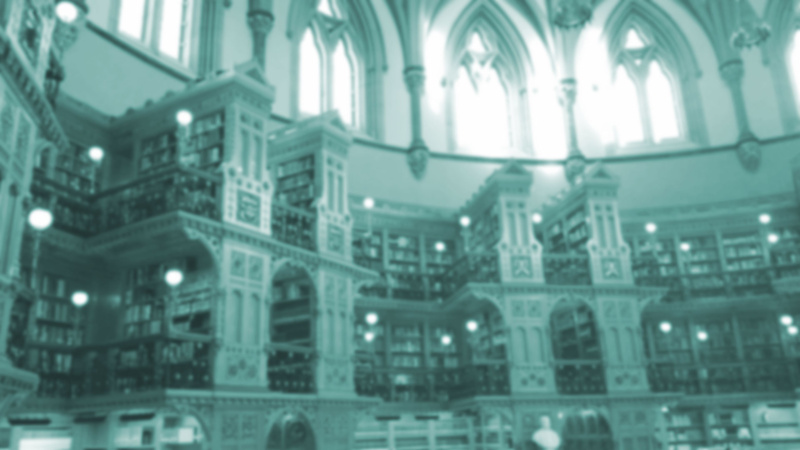 With support from the SSHRC, the NSERC, the Digging into Data initiative, the Library of Parliament, Library and Archives Canada, Canadiana.org, and Michael Mulley at openparliament.ca, a key output of this collaboration is the first machine-readable and fully searchable historical Hansard. We have linked to these data to various biographical properties of parliamentarians, including their party and gender. This corpus underpins the search interface of this website. We are continuously expanding this corpus and features on this website. We are adding the Debates of the Senate and the transcripts of parliamentary committees. We are also integrating more and more information about parliamentarians, including information about the demographic profiles and election outcomes in their constituencies. To request data or for information about how to get involved in this project, please contact us. Beelen, K., Thijm, T. A., Cochrane, C., Halvemaan, K., Hirst, G., Kimmins, M., Lijbrink, S., Marx, M., Naderi, N., Rheault, L., Polyanovsky, R., and Whyte, T. (2017). "Digitization of the Canadian Parliamentary Debates." Canadian Journal of Political Science, 50(3), 849–864. https://doi.org/10.1017/S0008423916001165. Qu'en est-il de la version française? La numérisation de la version française du Hansard de la Chambre des communes est une priorité pour notre équipe. À l'heure actuelle, nous ne sommes malheureusement pas en mesure de rendre publique une telle version. This site was built using Python, Django, UIKit, PostgreSQL, and Haystack/Solr by twhyte.net. It also makes use of the openparliament.ca API developed and maintained by Michael Mulley. Complete source code is available at GitHub. A current list of dataset bugs is available on our Help page. We are a group of political scientists, computer scientists, and historians at the University of Toronto. Kaspar Beelen is a postdoctoral fellow in the Departments of Political Science and Computer Science; Christopher Cochrane is an Associate Professor in the Department of Political Science; Graeme Hirst is a Professor in the Department of Computer Science; Nona Naderi is a Ph.D. student in the Department of Computer Science;Ludovic Rheault is an Assistant Professor in the Department of Political Science;and Tanya Whyte is a Ph.D. student in the Department of Political Science. What about the French version? Digitizing the French version of the Hansard is a priority for our research team. Unfortunately, we are not able to release it at this time. This project was made possible through financial support from the Social Sciences and Humanities Research Council, the National Sciences and Engineering Research Council, and the Digging into Data initiative. We are grateful to a number of colleagues who have provided helpful advice and feedback about this project. These include Jonathan Blaney (University of London); Richard Gartner (King’s College, London); Jaap Kamps (University of Amsterdam); Maarten Marx (University of Amsterdam); Paul Seaward (History of Parliament); Jane Winter (University of London). We have also benefited from the outstanding research assistance of Michael Kimms, Roman Polyanovsky, and Tim Alberdingk Thijm. Although this project is much improved from the support of our funders and our colleagues, we assume full responsibility for the remaining errors. Wondering how to properly cite a speech from Hansard in your written work? Click on "Permalink" in the bottom right of a speech in Full or Search view to get a unique page and URL for any speech. Find the "title" of the speech below it in the topic or subtopic field. Choose the topic that most specifically reflects the speech. Find the Parliament and session information above the speech, next to the date, in Permalink view.